Moles are very small and include in the family of mammals having cylindrical structure with a velvety fur. Eyes and ears of moles are inconspicuous. They have large and powerful paws and forelimbs for digging. Their bodies are ideally designed for digging. They eat insects. Mole have a poor eyesight that’s why they use their sense of smell and touch to find food. The main problem with moles are tunnels. They are not very dangerous and horrible but can easily ruin your lawn or place badly. Are you worried of moles and Want a proper Mole Control in BC? Lots of people and companies sell sprays and other mole control products, but most are fake there is nothing like that. There is no spell / magic or ultrasonic emitters by which you make moles go away. It is only possible with the help of best pest control company and with their best mole control products and technicians, and for this purpose Exopest is your best solution for mole control Surrey BC. If you are worried and finding a professional at your place, the best mole trapper is just a call away in your home town. We have the best pest control professionals for mole control and removal. Call Exopest 24/7 the best mole control surrey bc for the best and instant results. Removal of the moles from lawns, fields, golf clubs and hard approach locations is our speciality. 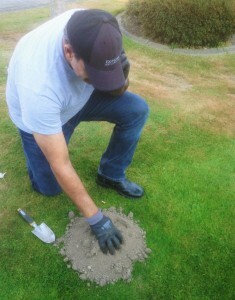 We deal with the 100% efficacy plan by mole trapping and mole control in lawns. It is very necessary and important to kill them as soon as possible. If mole expires in your place, call us immediately we have services to clear your place from dead mole and their odour too. We can travel to any location, email or call us any time. We are always on your duty. For FREE Evaluation Call 604-760-1542 or Click here for a FREE Quote!! !